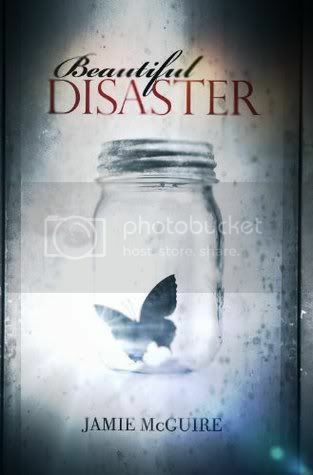 The very last item in my Follower Appreciation Giveaway is a copy of Beautiful Disaster by Jamie McGuire! I had planned on giving something else away today, but after finishing this book earlier this week, I wanted to share the awesomeness of this book with others. Don't forget to check out Giveaway #1 & Giveaway #2! I haven't read it yet, but I keep hearing it's amazing! Thank you for the giveaway! I haven't read it yet, but I want to. Thanks for the chance to win! I haven't read this book yet, unfortunately. I have not read it, but have wanted to! I have read it twice. Loved it! I read this book and would like to share a copy with my book club! I read this book and would like to share it with my book club! Thanks for the giveaway! I have not read it. It is on my WANT list. I have not read it yet. It is on my WANT list. No I haven't, but like millions of others, I will be. Thanks! I read and absolutely loved it! Such an intense read! No, I haven't read this book yet. Eagerly awaiting it! No but it is on my TBR pile! I've heard some awesome things about this book, but some of those same things have made me pretty hesitant. I think that means I need to give it a try! Okay, just realized it was a 1500 follower giveaway, not a blogoversary one. OOPS! I have read it, it's pretty spectacular and I'd love a physical copy! I'm so excited for Jamie! Thanks for the giveaway! I haven't read this book, nor have I heard of this author. But Thanks for introducing Jamie to me. I look forward to exploring her work. I have not read this book, nor have I heard of the author. But thanks for the post & giveaway. I love being introduced to new authors and add to my always growing to be read list. I have not read this book but have been seeing this on my radar. Definitely added to my TBR list. II have not read it yet. Would love to win. No I would love to win! I am eagerly waiting for this one! Dying to get my hands on a copy of this! Thanks for the giveaway! No... but I can't wait to read it! No, I haven't but I would love to! Awesome giveaway :) No, I haven't read it yet but I have been dying to get my hands on copy. Congrats on all the followers & thanks for the giveaway!